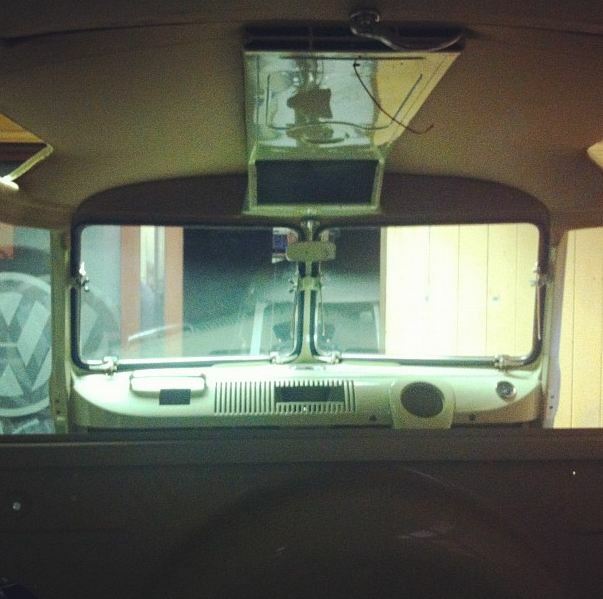 We’ve just had some more photos sent from Dubtricks, this time showing Mollie’s hunting lamp all installed. 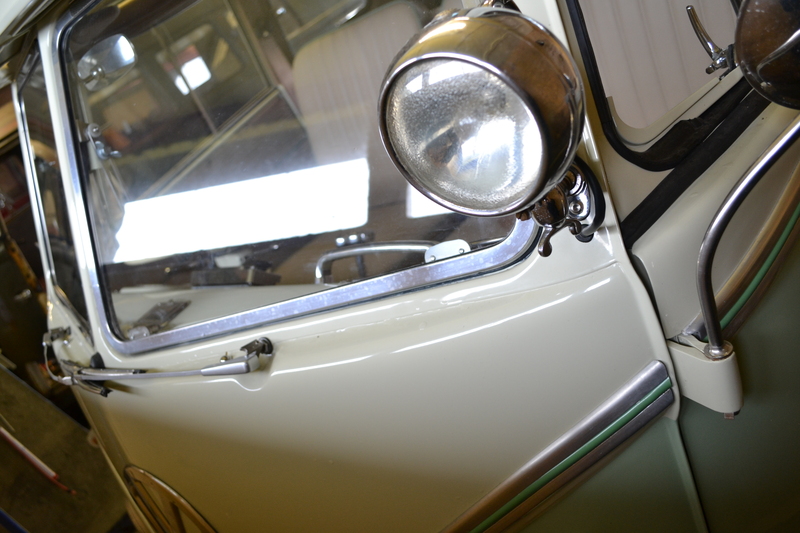 Dave bought this hunting lamp ages ago, I can’t remember if it was originally going to go on Bob, but it looks great on Mollie. 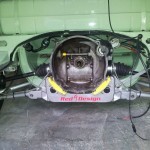 We have also decided that Mollie needed a new gearbox as the old one just wasn’t good enough for her new engine, and was having some issues. 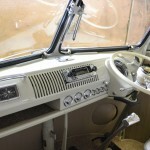 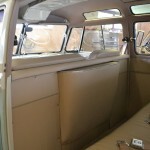 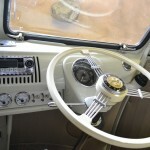 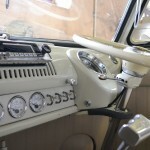 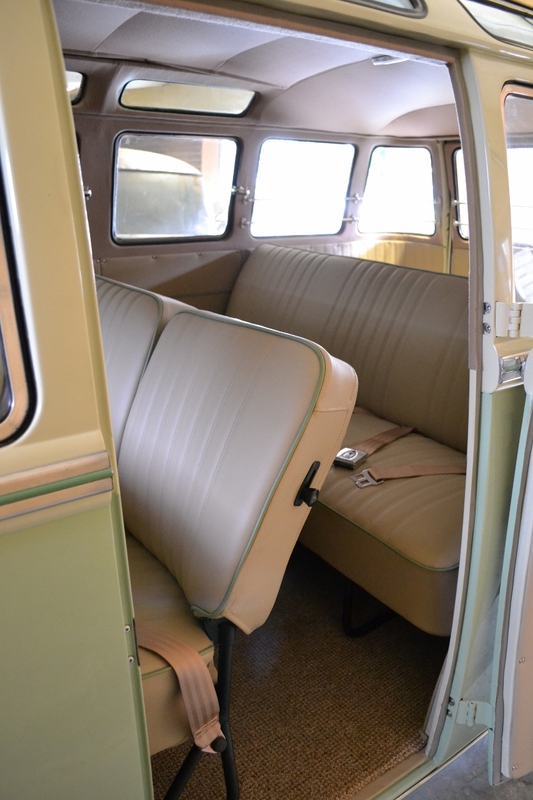 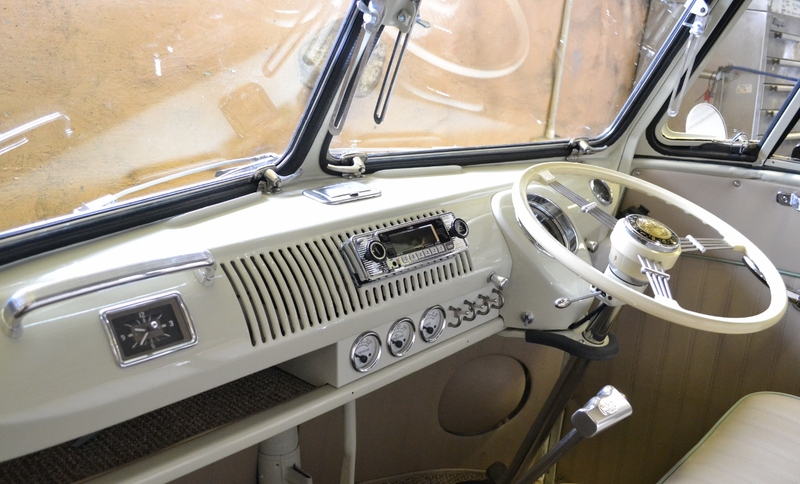 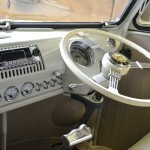 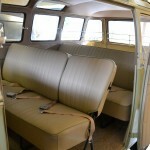 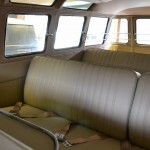 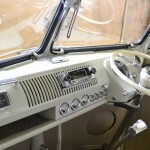 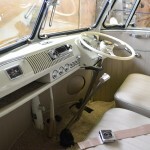 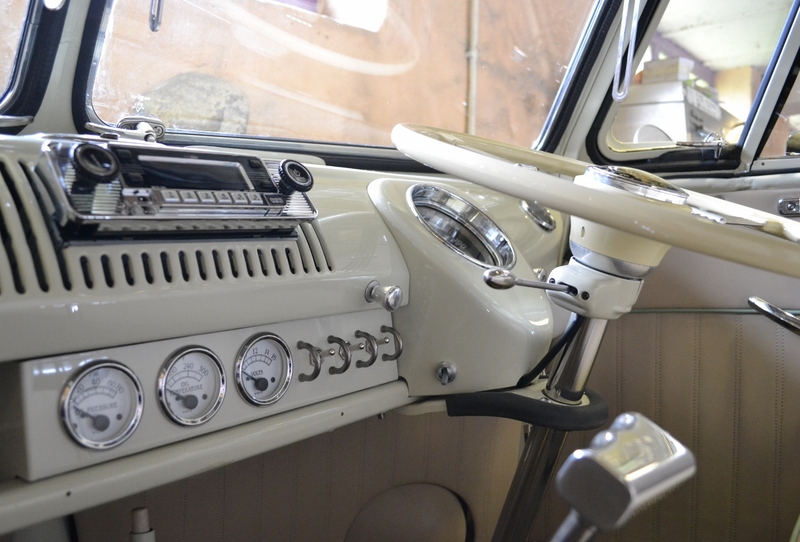 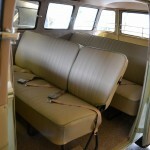 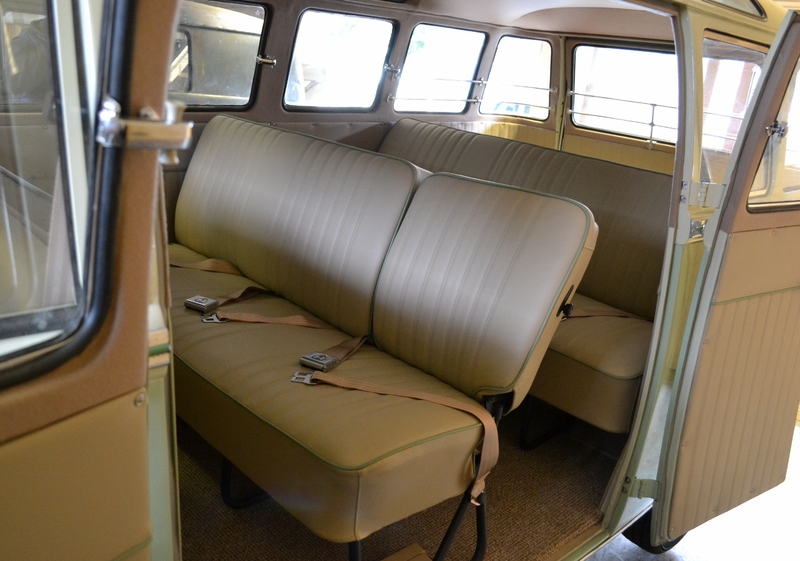 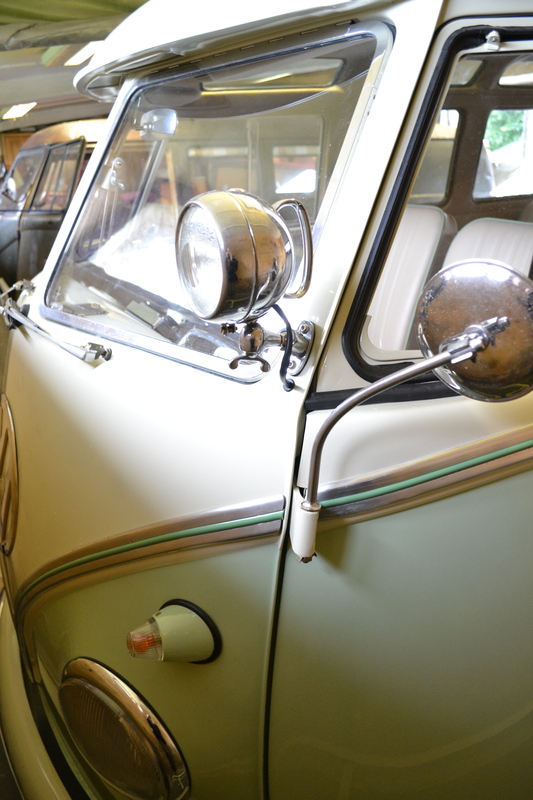 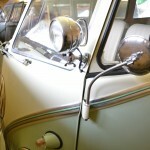 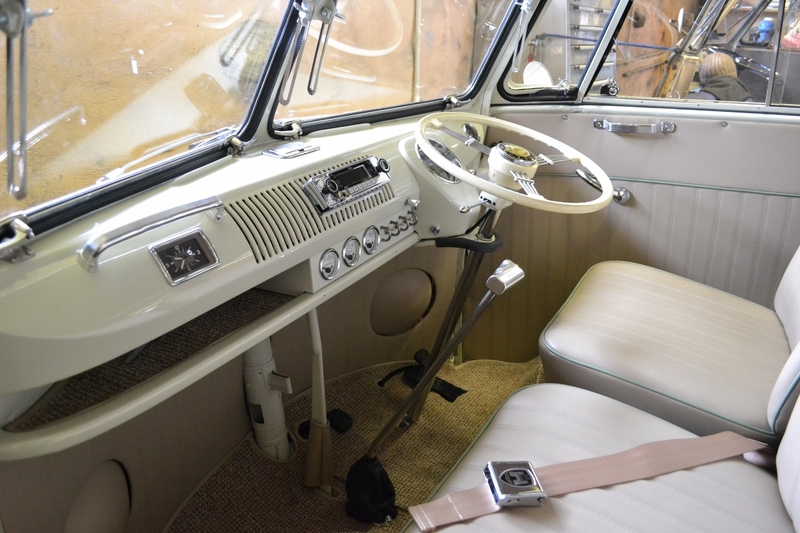 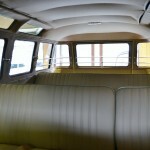 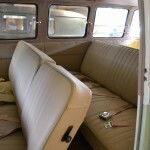 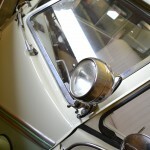 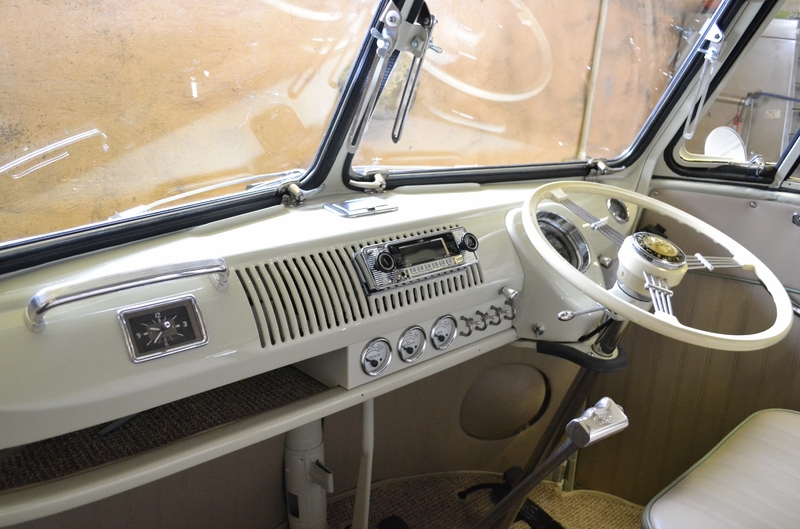 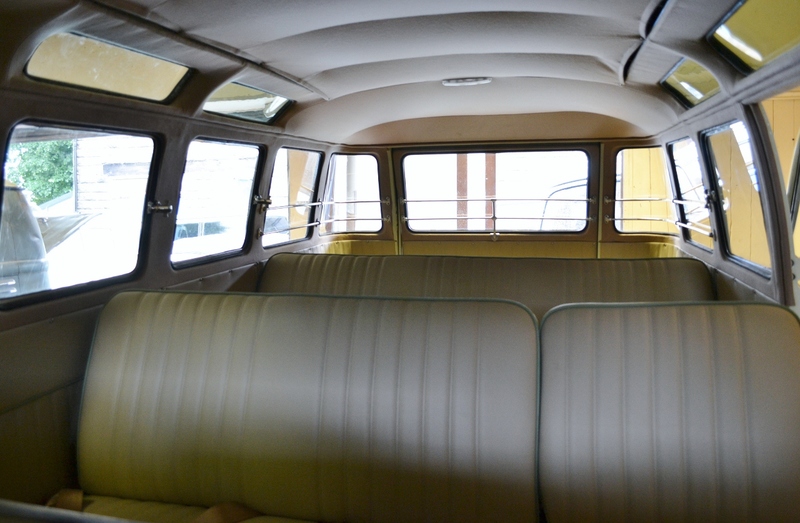 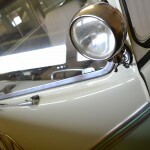 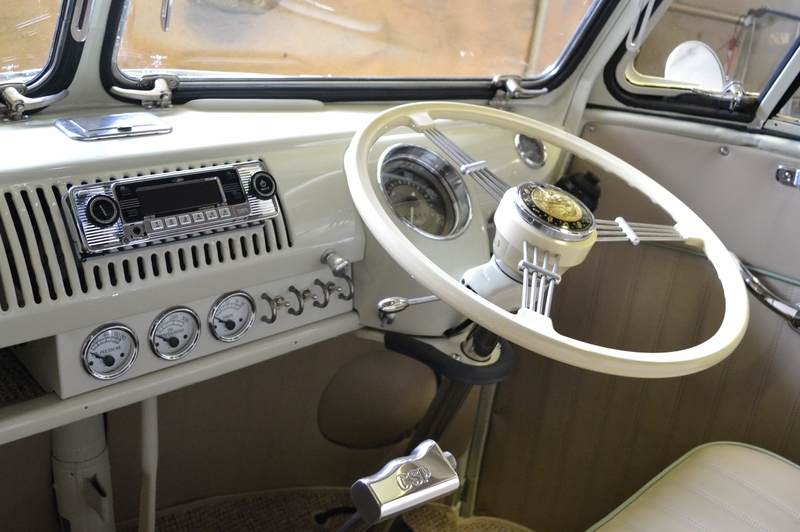 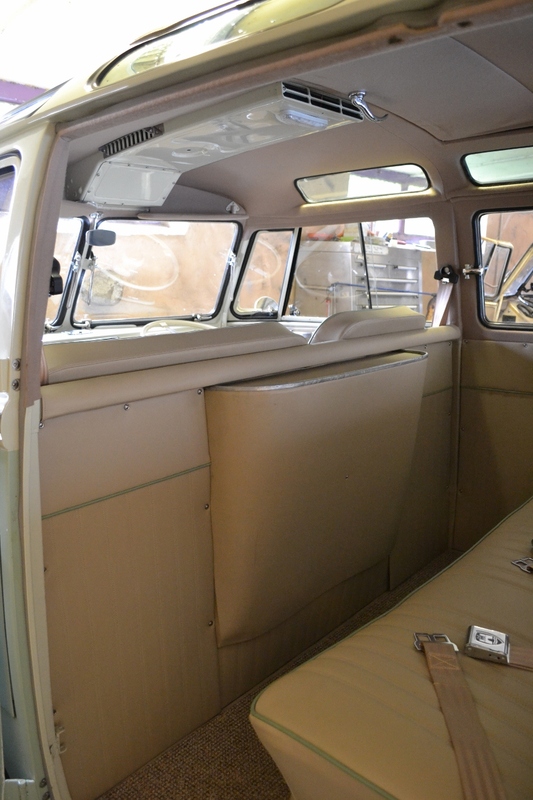 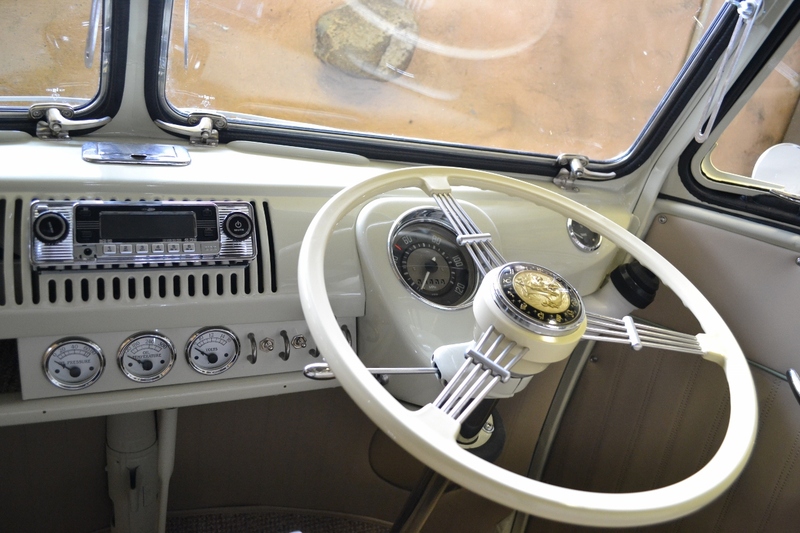 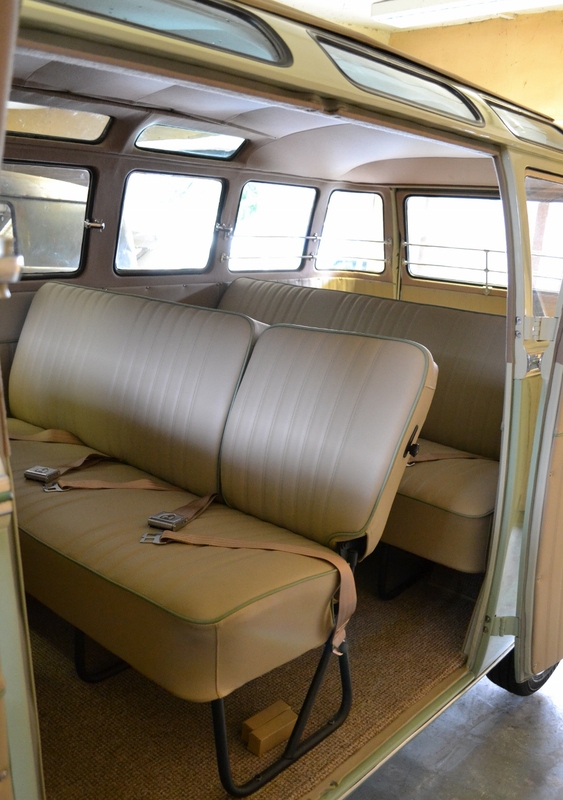 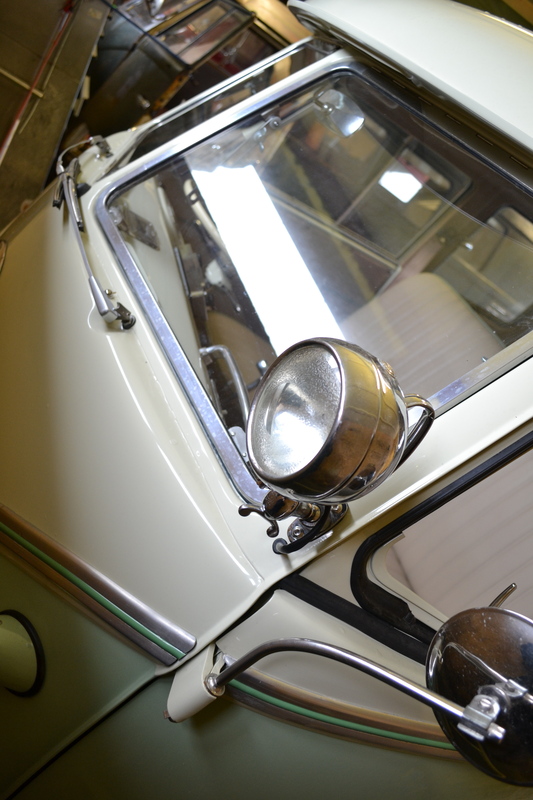 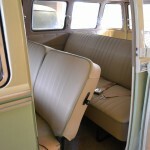 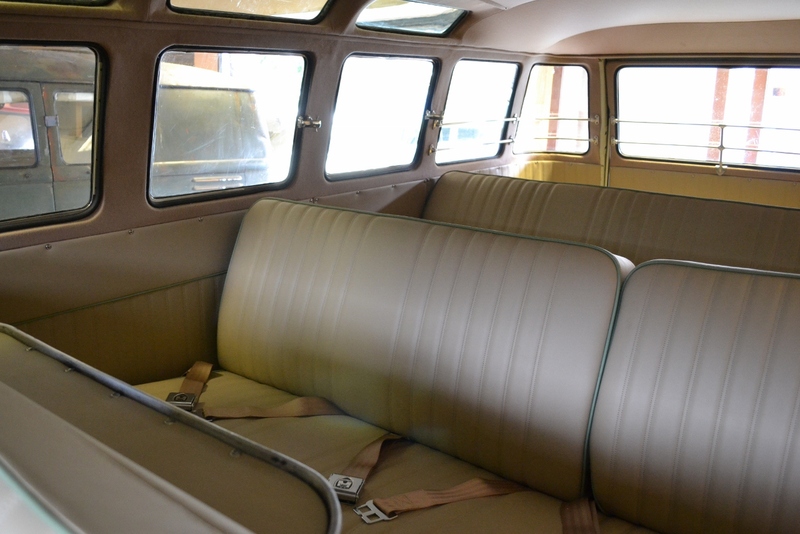 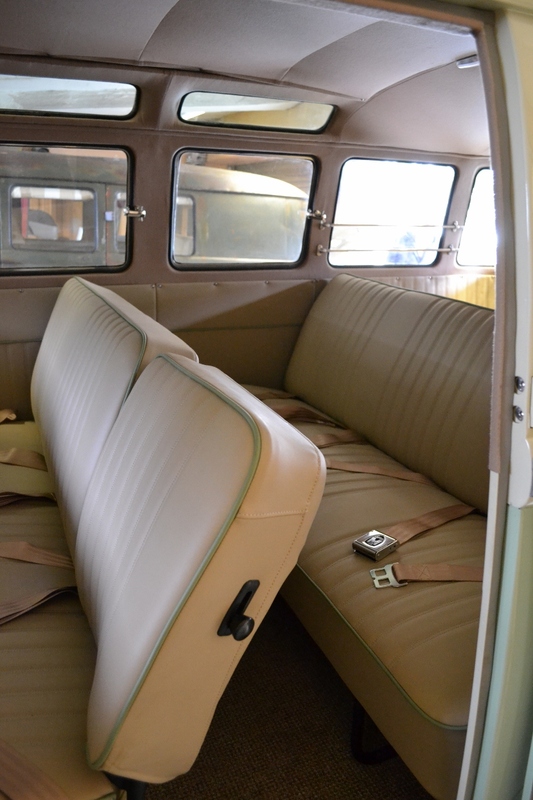 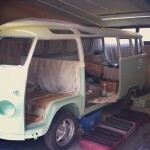 We may as well replace absolutely everything on her if we are doing a proper full restoration of the 23 Window Samba! 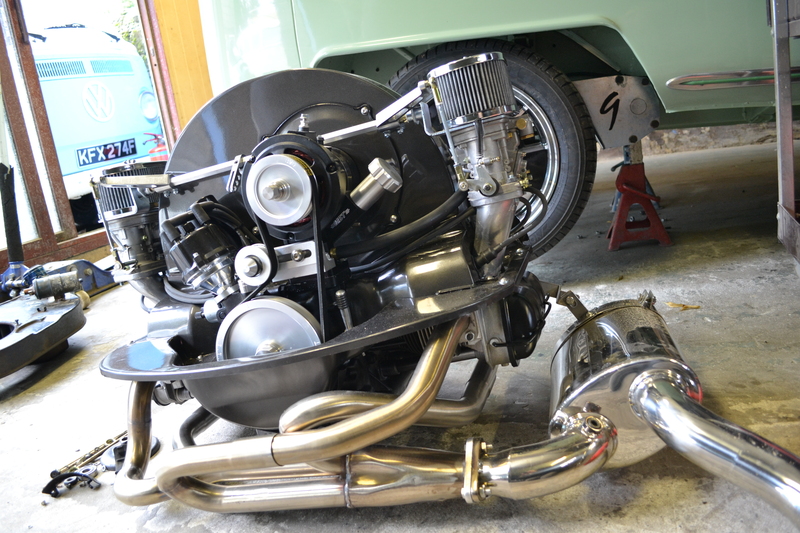 So the custom built engine is back out, and we’re waiting for the arrival of the Rancho Freeway Flyer gearbox in the next few days. 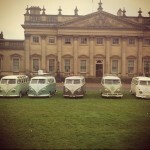 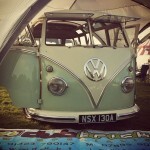 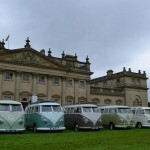 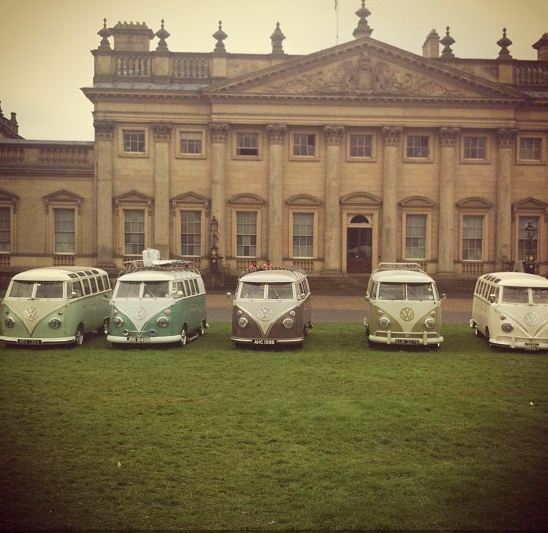 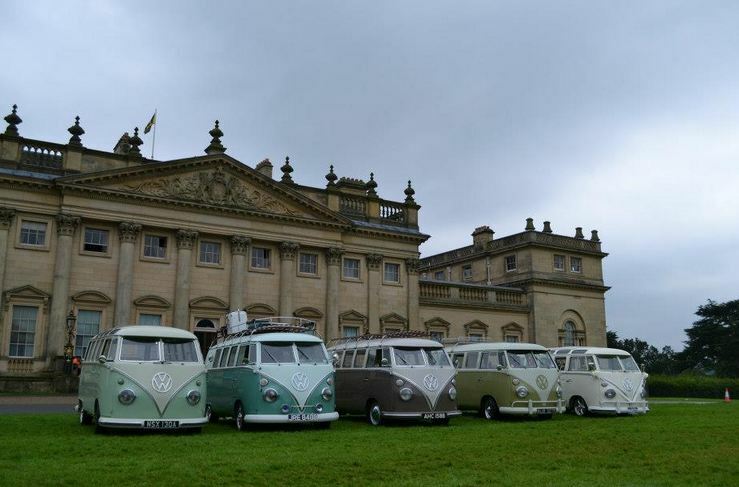 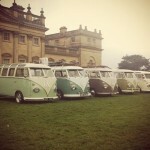 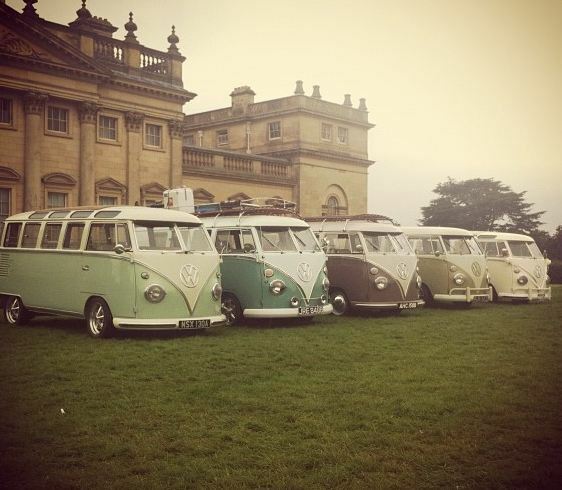 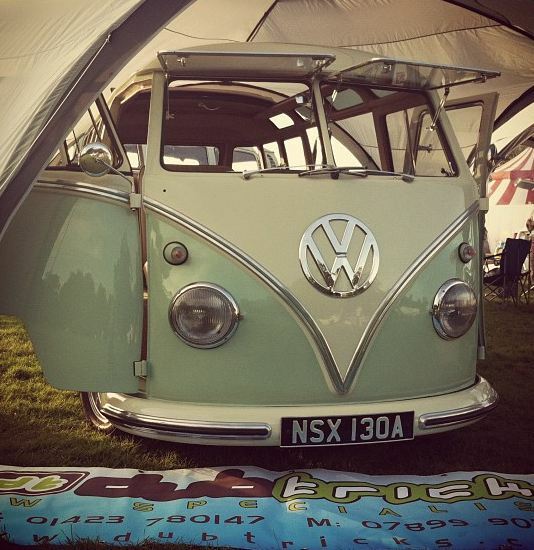 Mollie made it in time to appear at VW Festival at Harewood House last weekend, where she was displayed on the Dubtricks stand. Here are some of Dubtricks’ photos of Mollie, along with some of the other Dubtricks restored split screens. 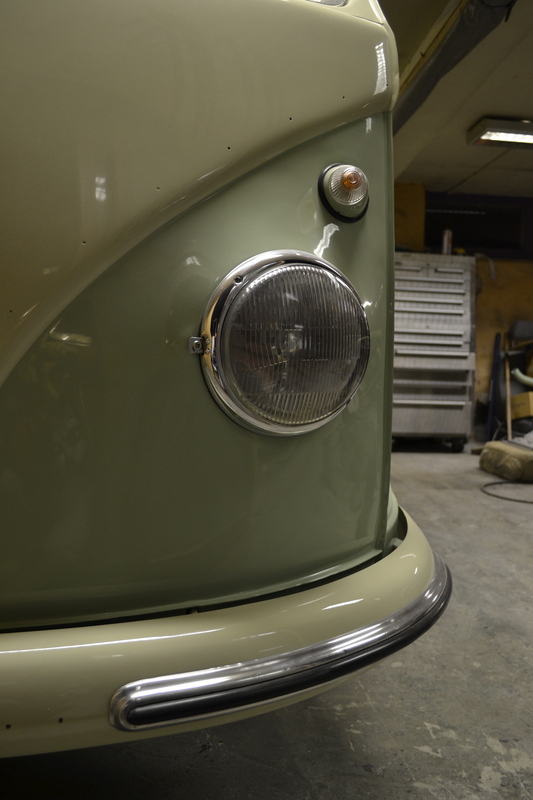 There are still a few jobs left to do on Mollie, so after the show she headed back to Dubtricks for the last push to completion before coming home. 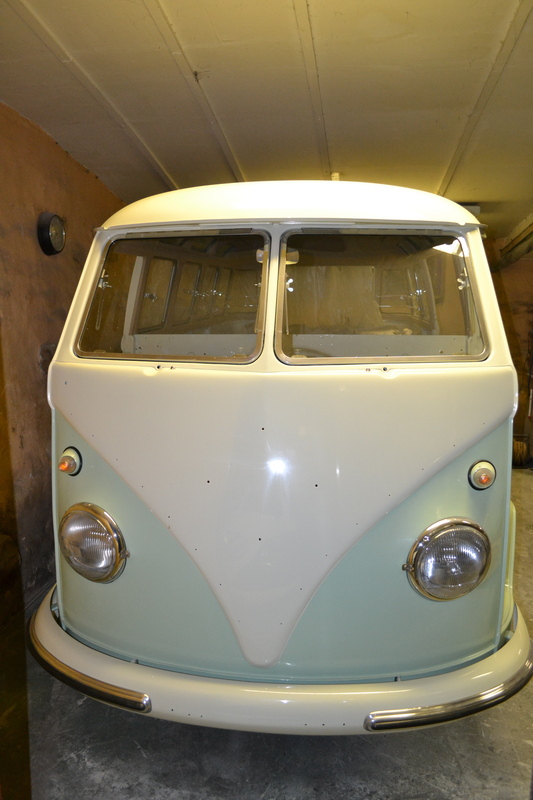 Since we decided on the full restoration for Mollie, it was also important to not only make her look pretty on top, but to make sure her underneath was as good as it could be. 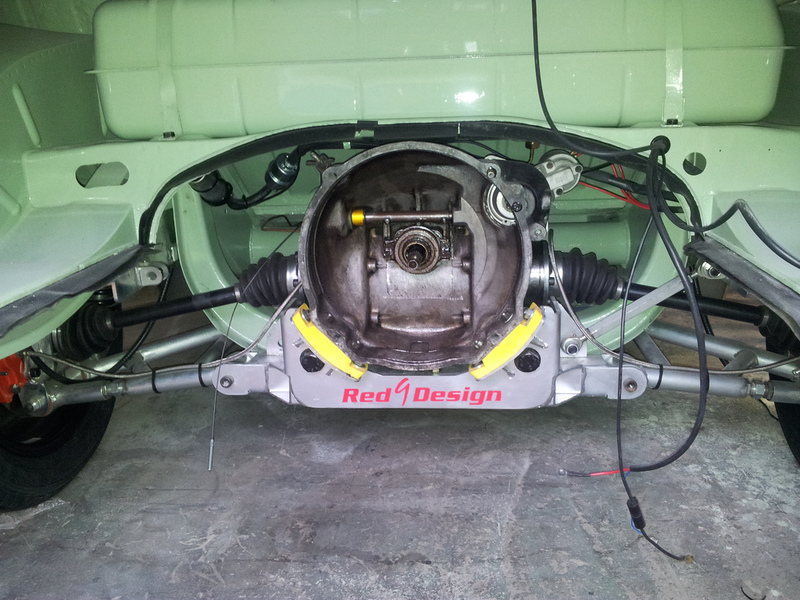 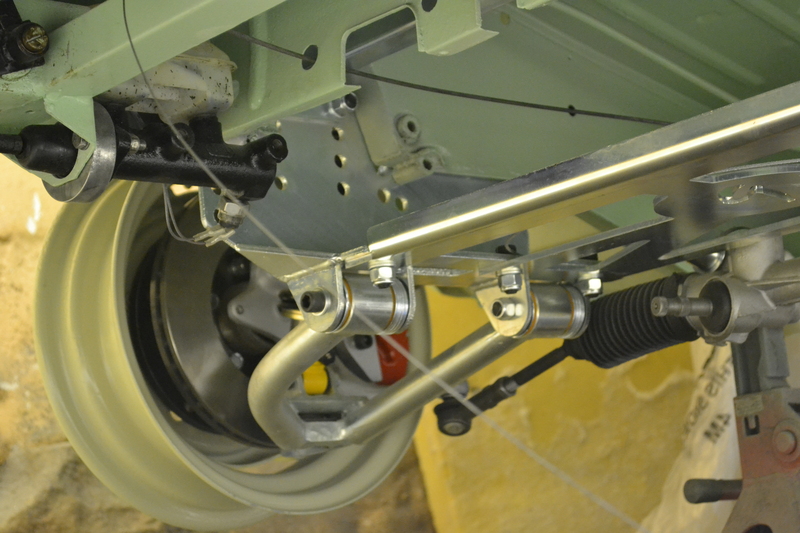 We opted for the Red9Design EZ Rider twin wishbone front suspension kit, a 4 potted vented brake kit and the EZ Rider Twin Wishbone IRS kit. 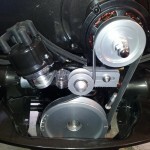 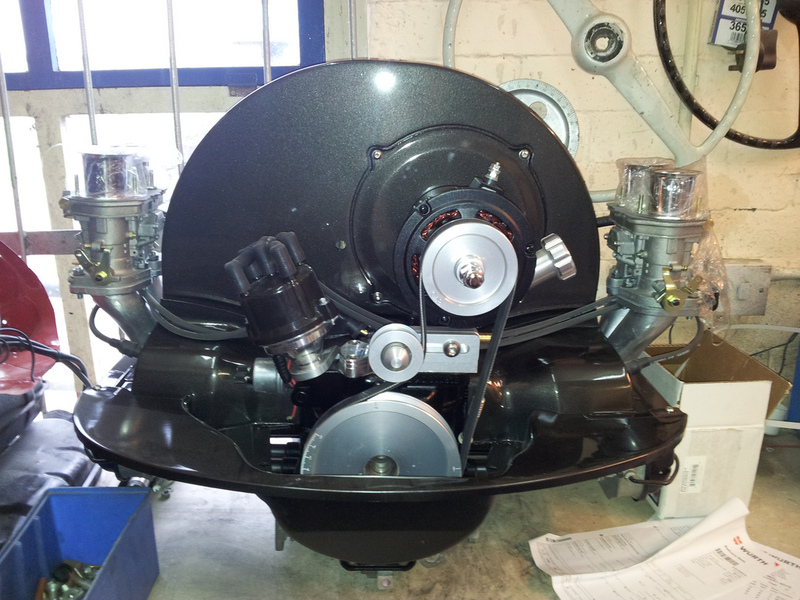 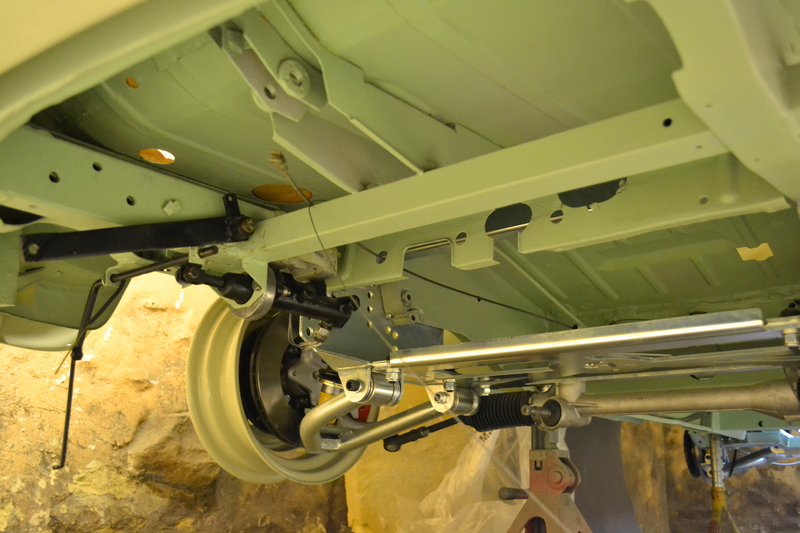 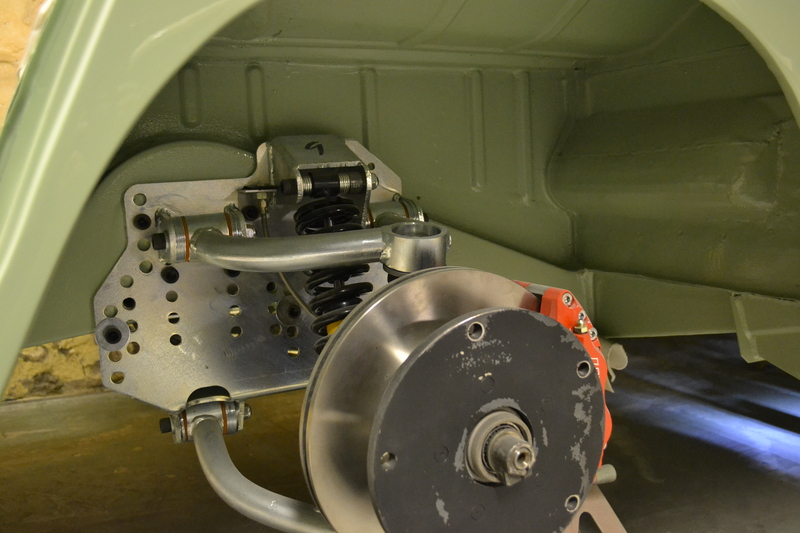 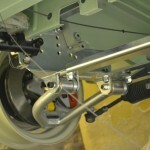 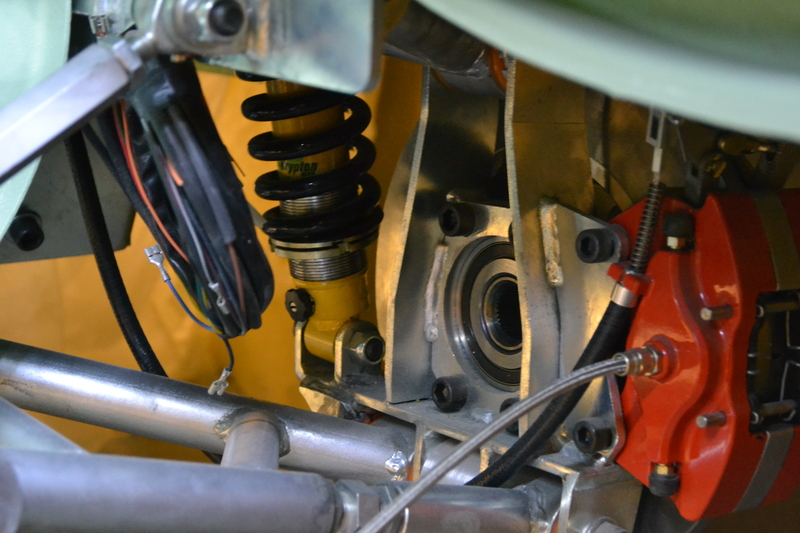 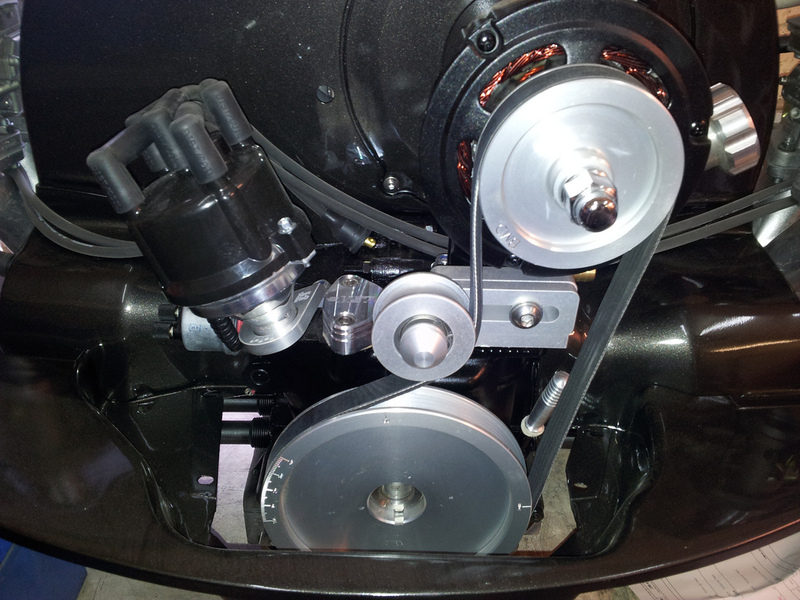 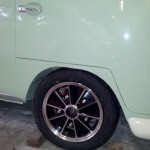 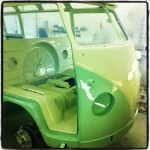 Here are some close up shots of Mollie a few days ago when this was all getting fitted. 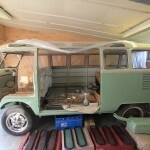 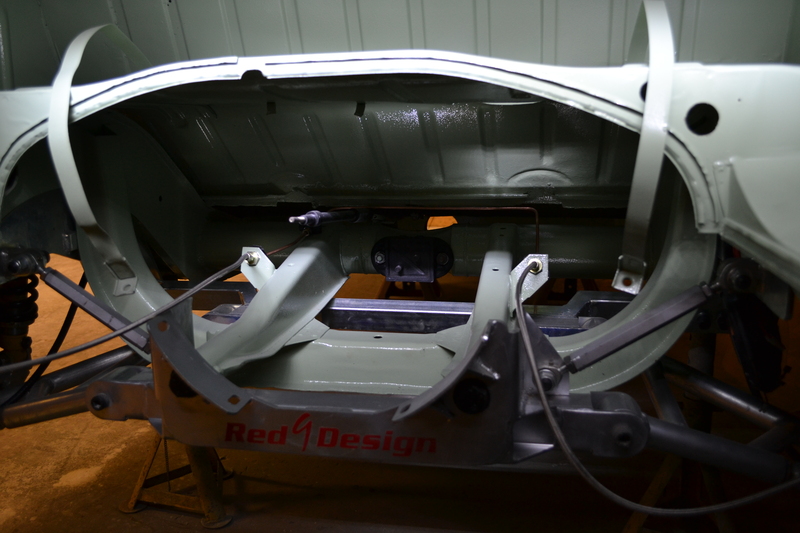 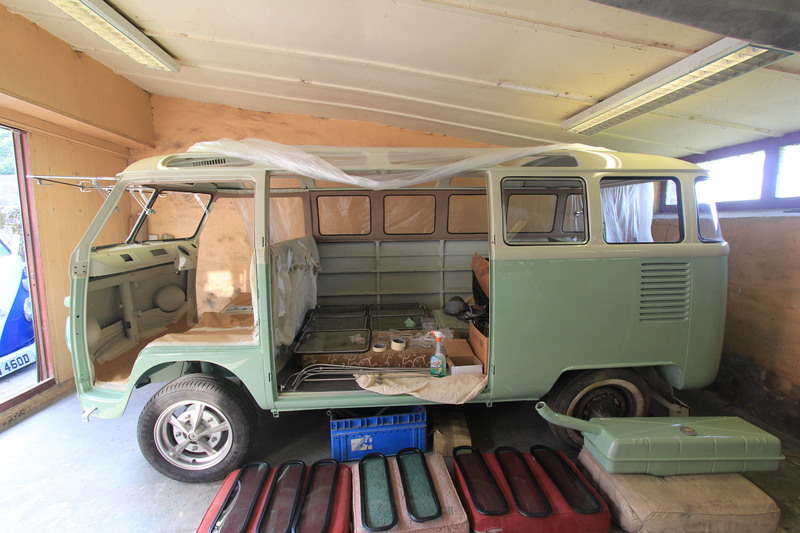 This is the beauty of the internet and social networks, as you can share images so quickly across the web so we have been getting regular “as it happens” shots from Dubtricks for each stage of the restoration of Mollie. 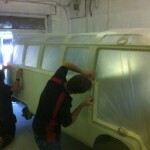 It’s really interesting and very exciting to see it all take shape. 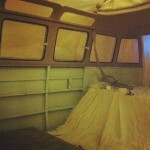 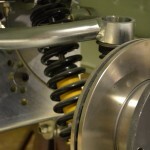 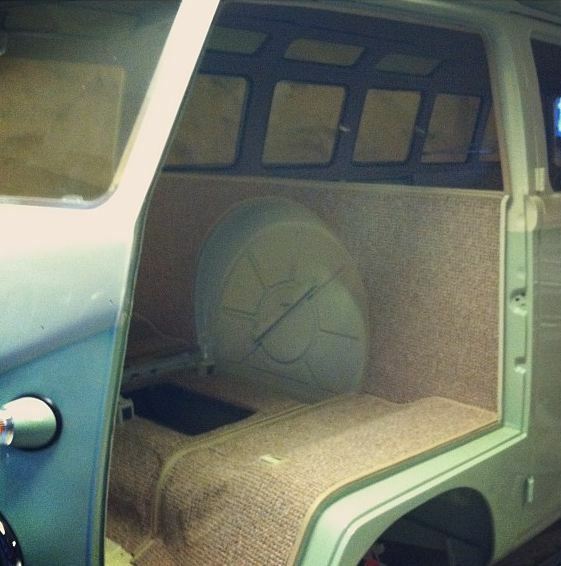 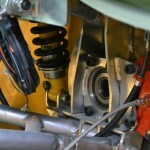 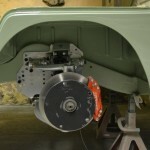 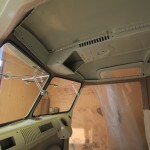 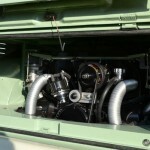 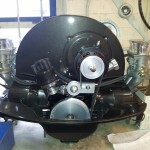 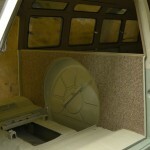 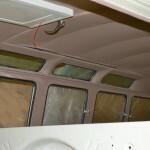 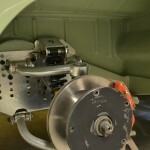 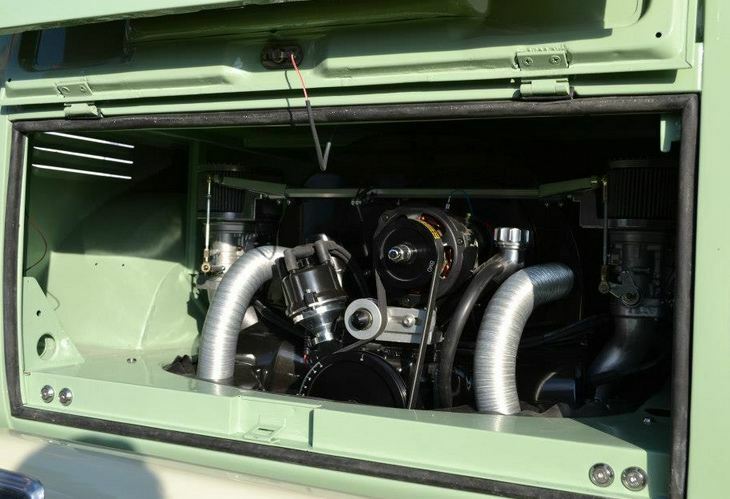 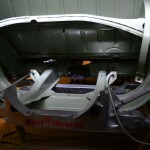 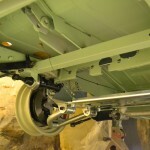 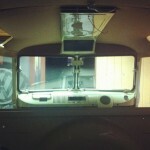 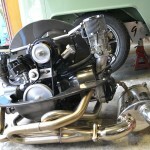 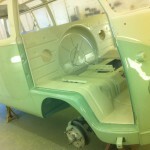 Here are some Instagram pictures of Mollie being rebuilt that have been shared across the web in the last week. 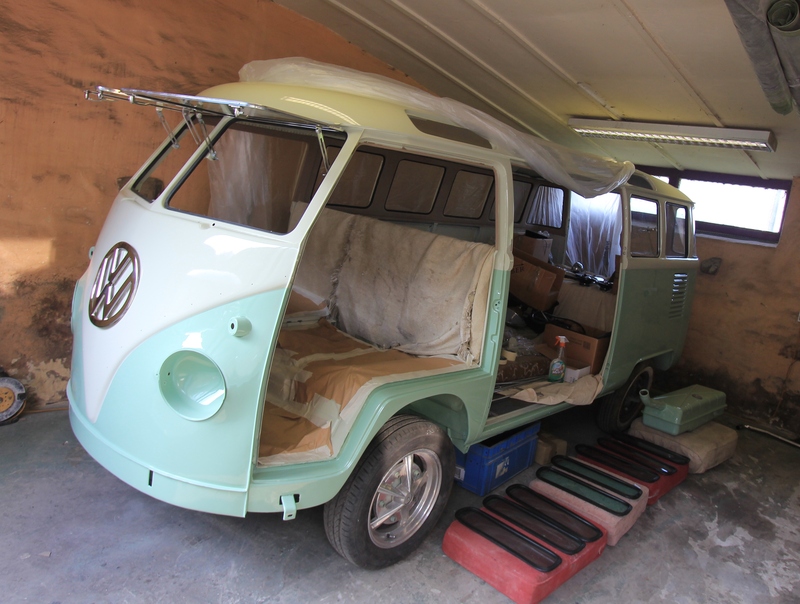 Today we headed over to Dubtricks to catch up with Jez & Louise and to see how Mollie was getting on, now that the rebuild is well on its way. 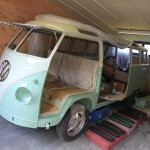 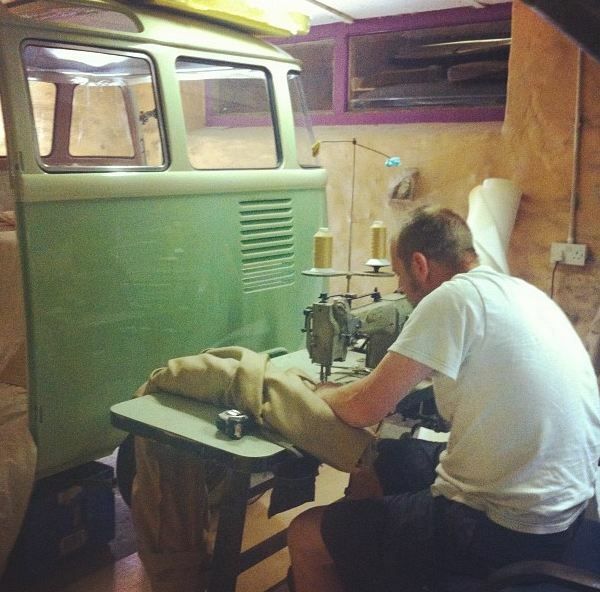 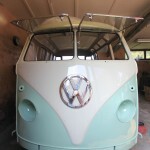 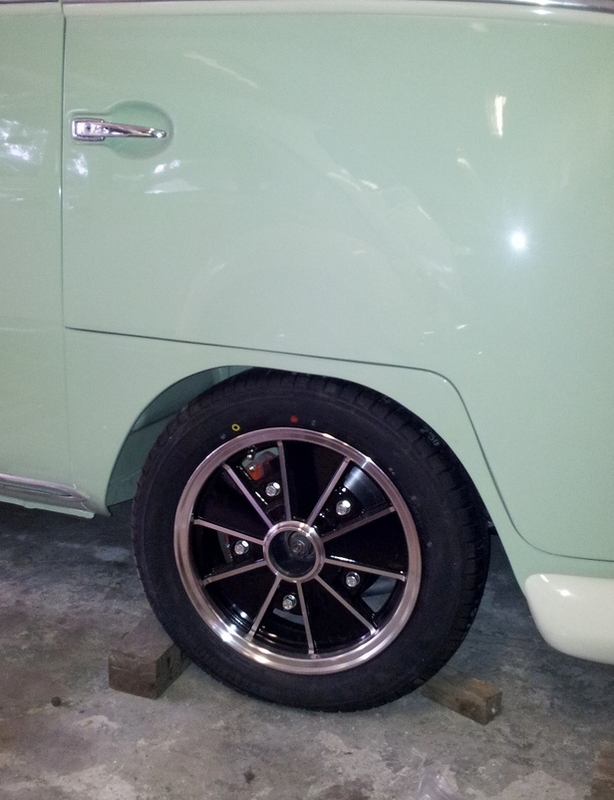 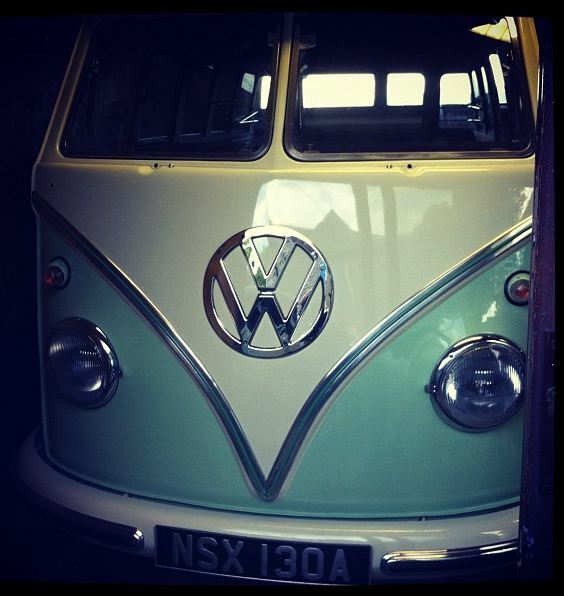 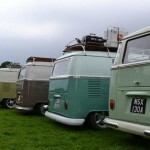 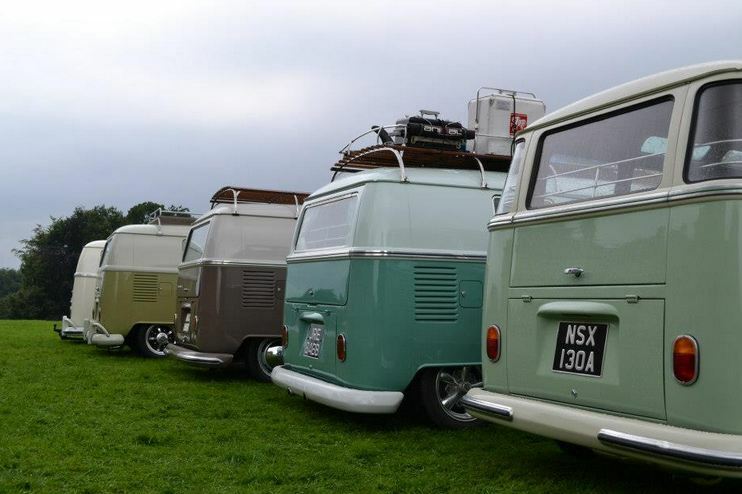 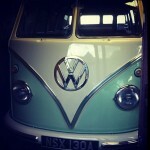 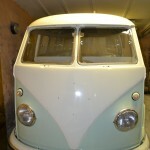 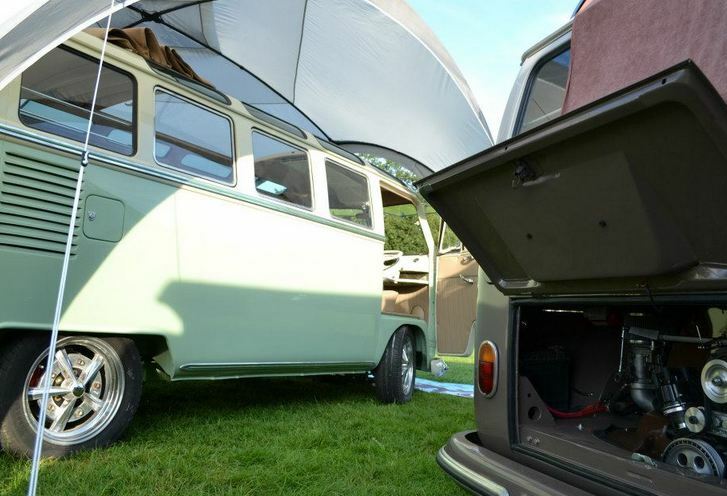 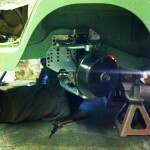 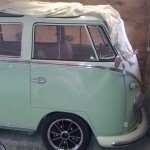 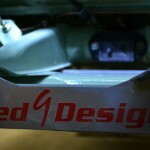 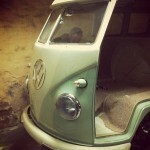 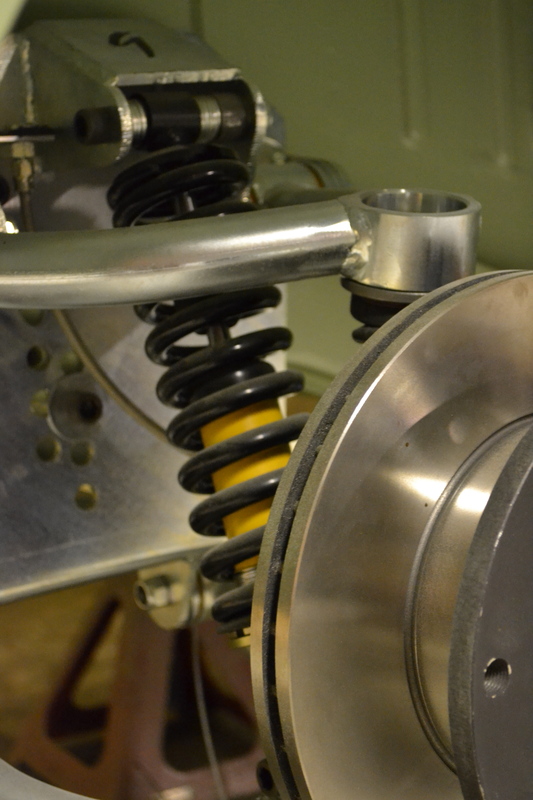 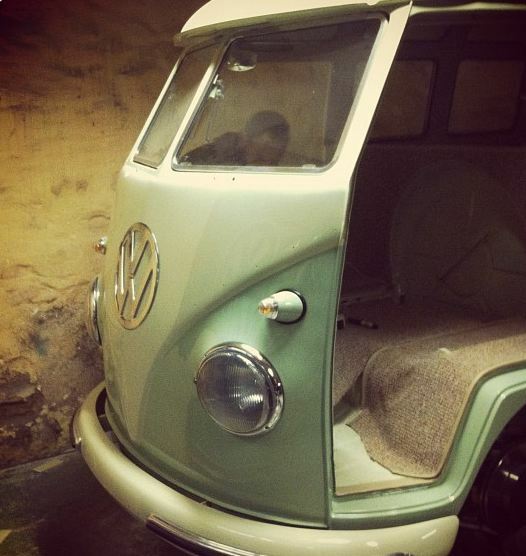 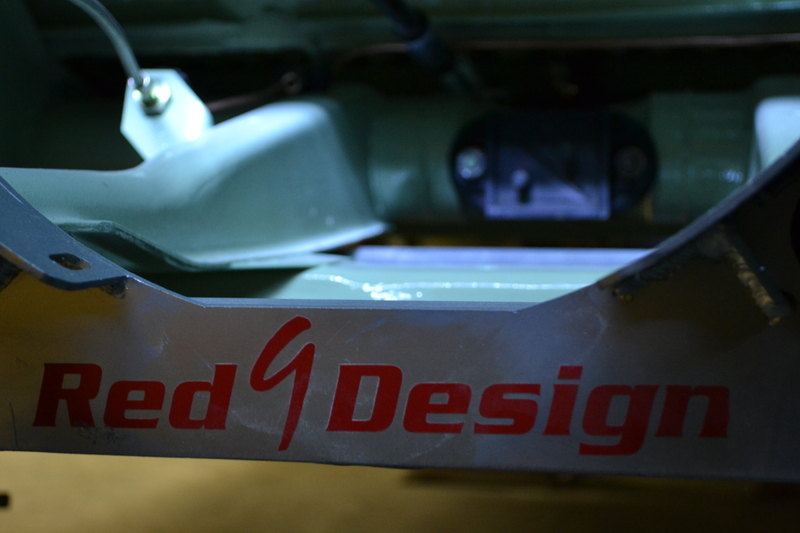 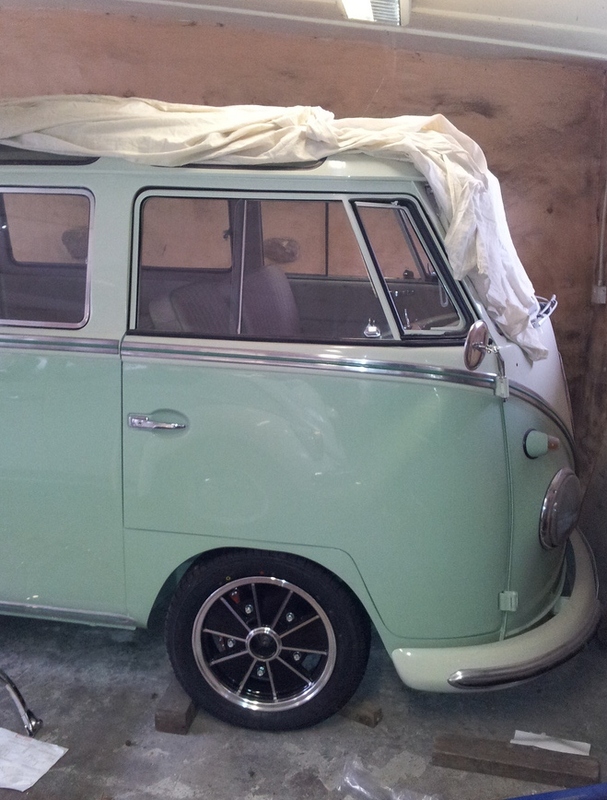 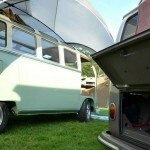 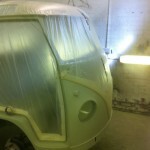 We’re all hoping that she will be ready for VW Festival at the weekend so we have everything crossed at the moment. 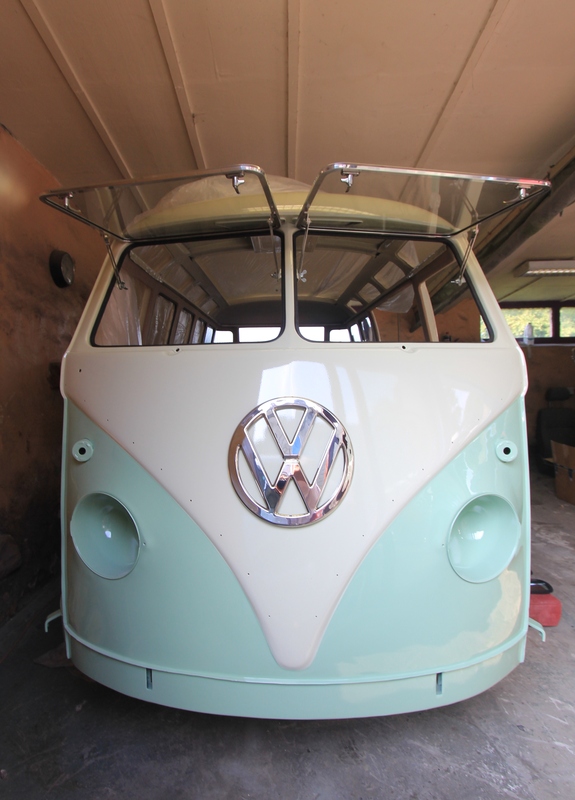 Its really hard to show the true beauty of the colour of Mollie in her birch green and vintage white paint but she looks stunning. 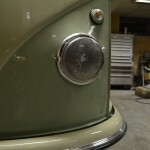 Here are some pictures that Dave took today with his big camera. 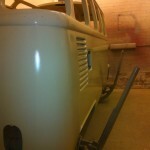 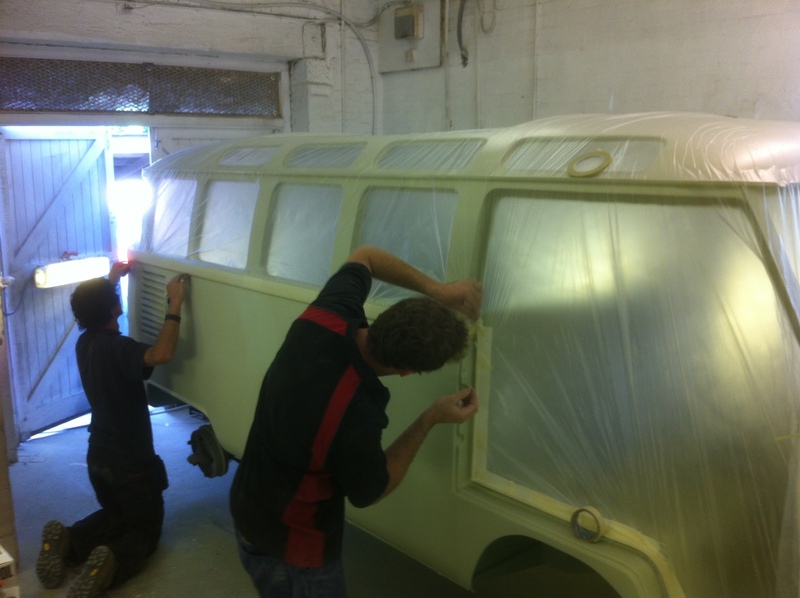 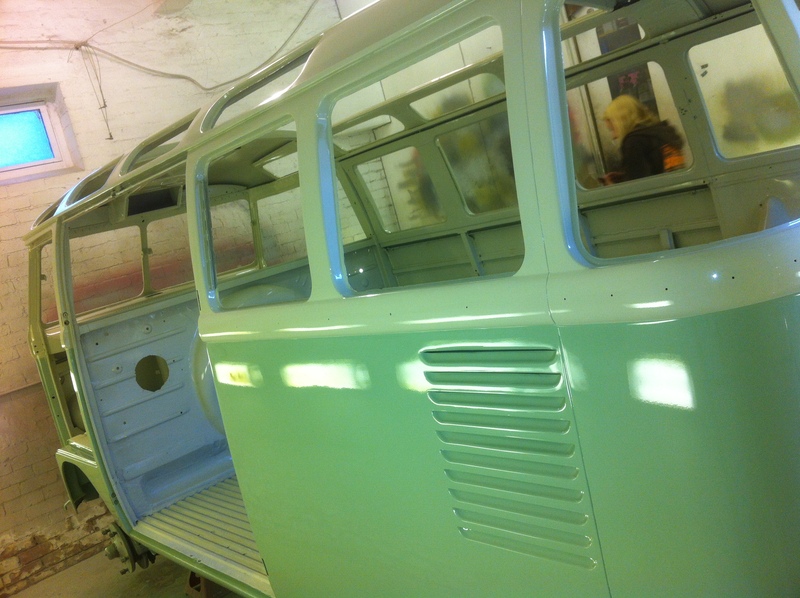 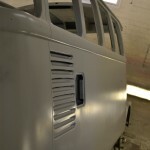 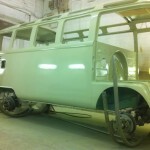 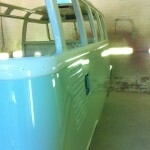 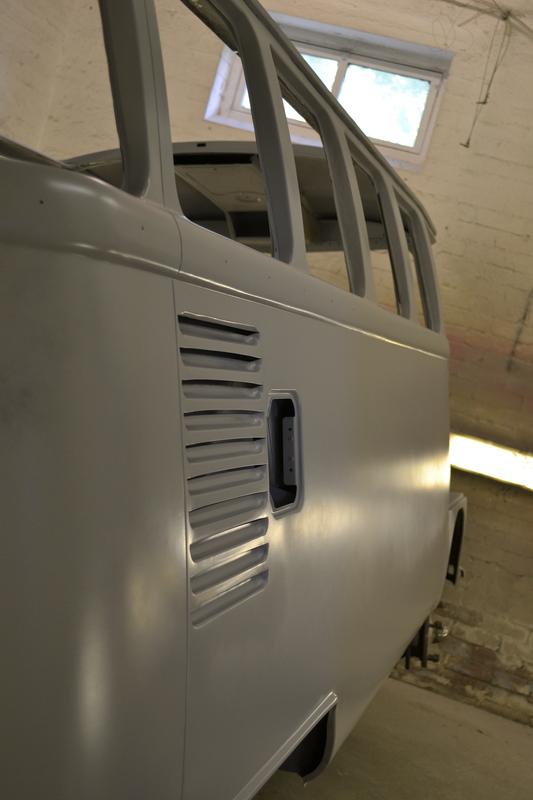 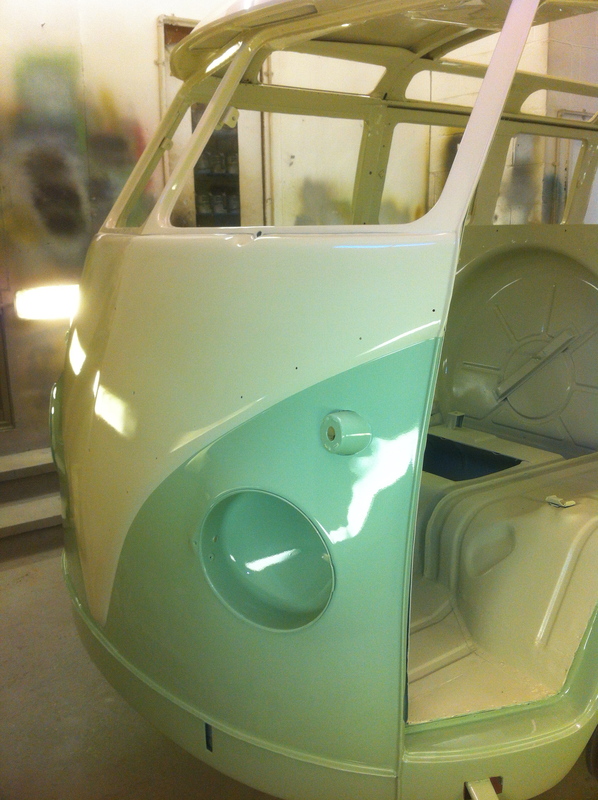 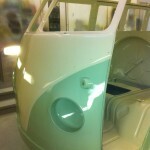 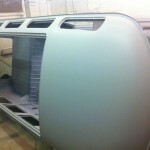 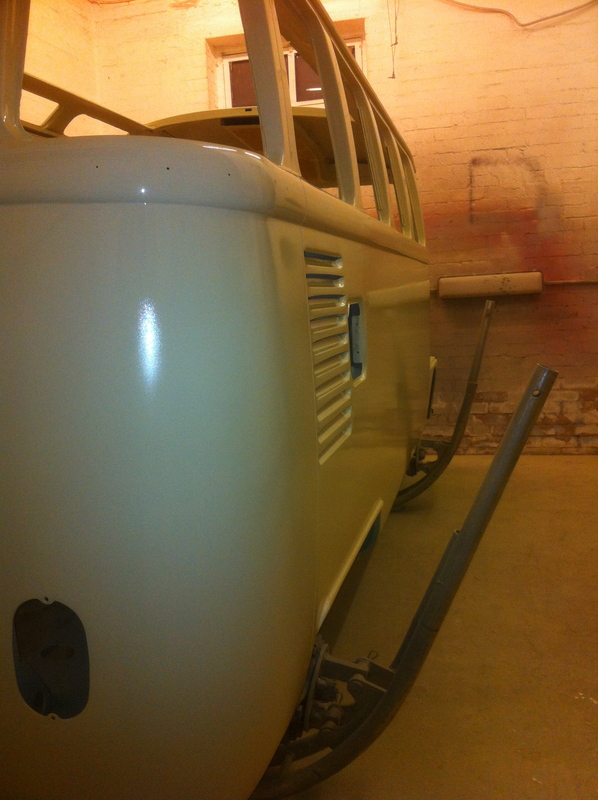 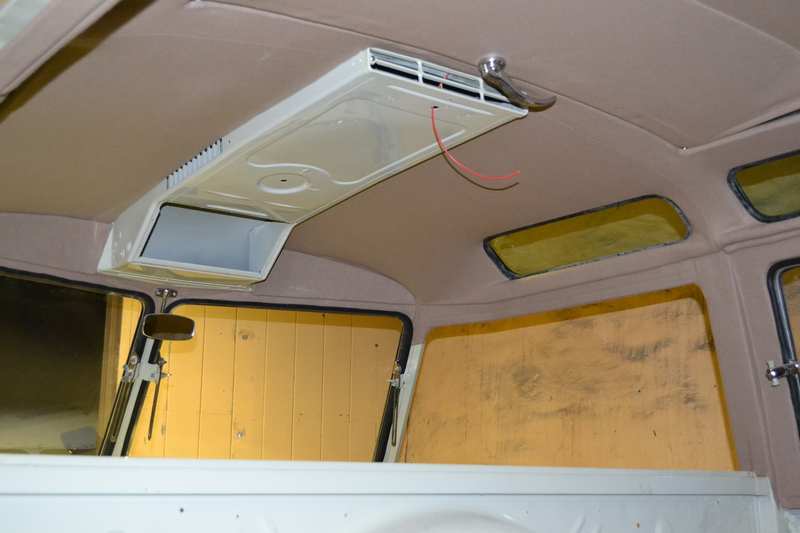 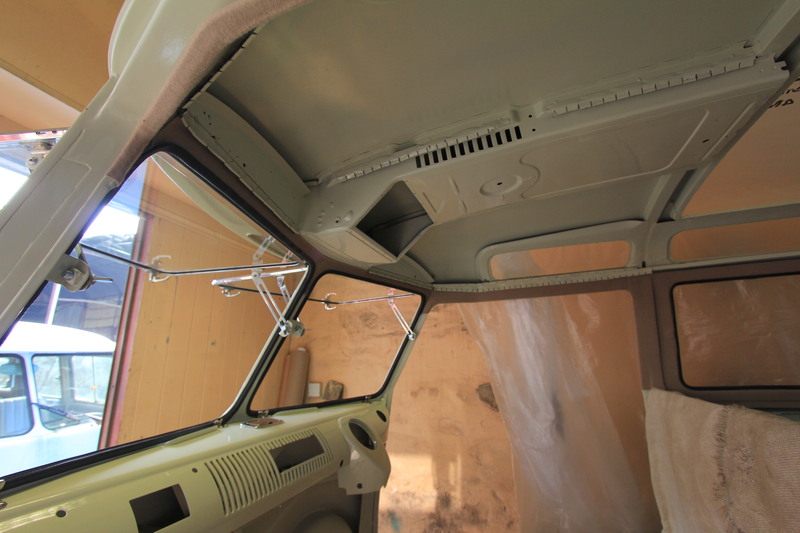 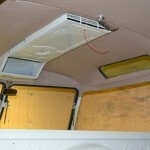 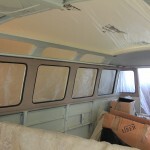 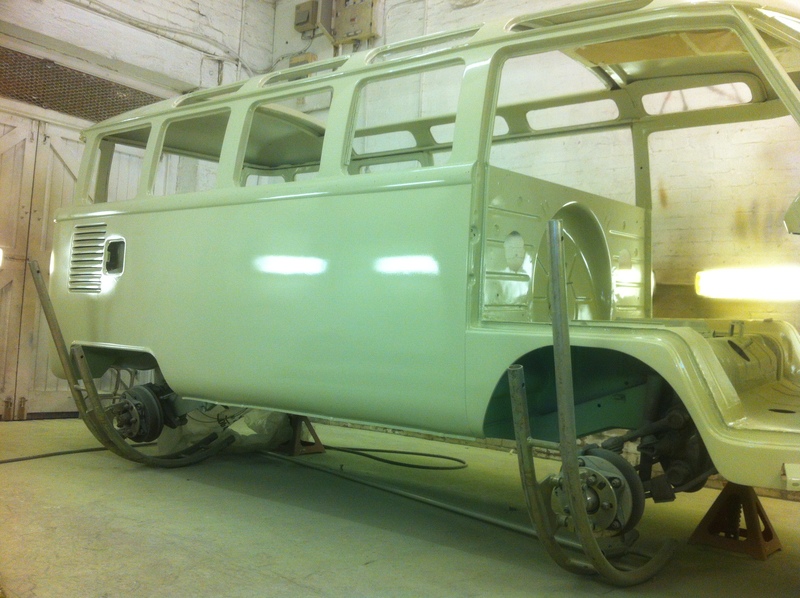 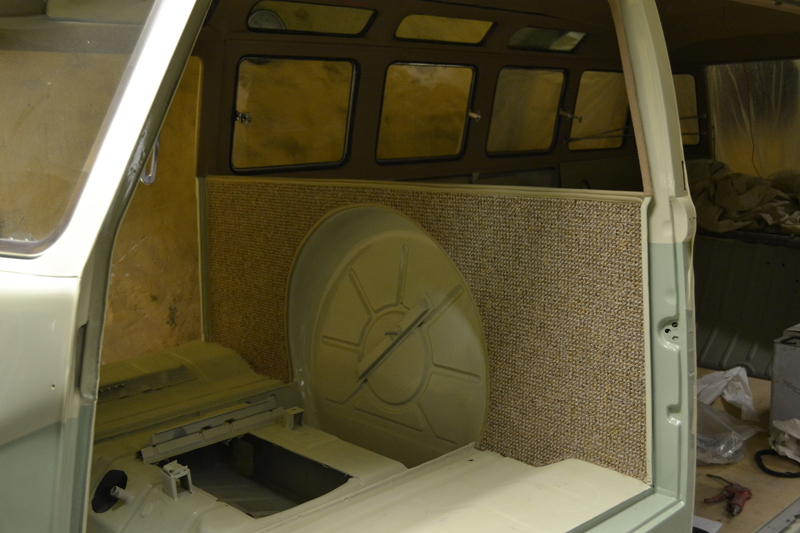 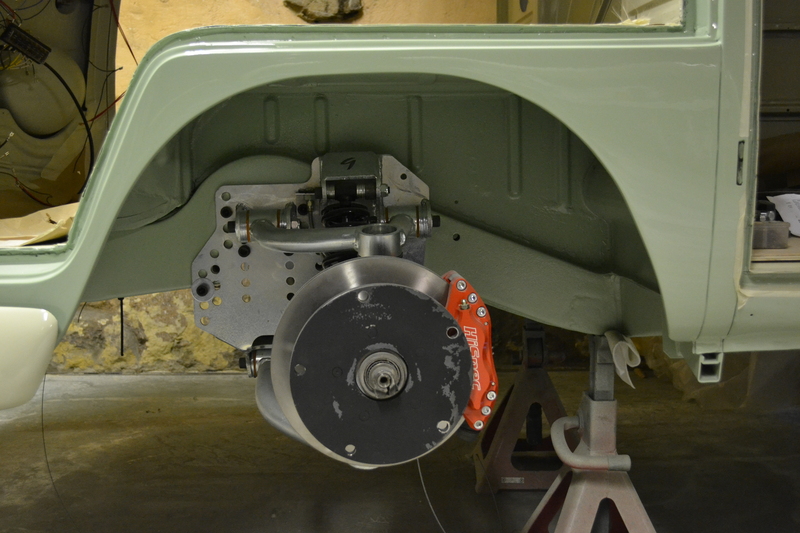 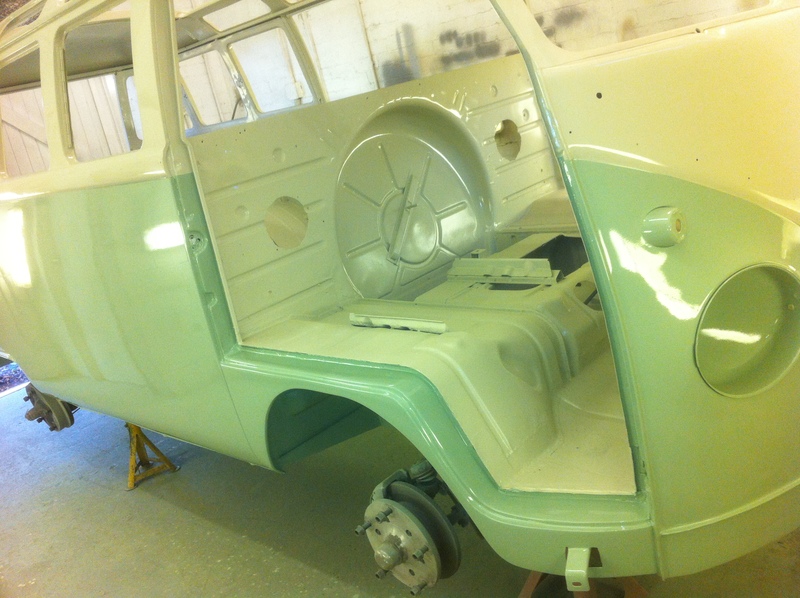 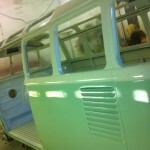 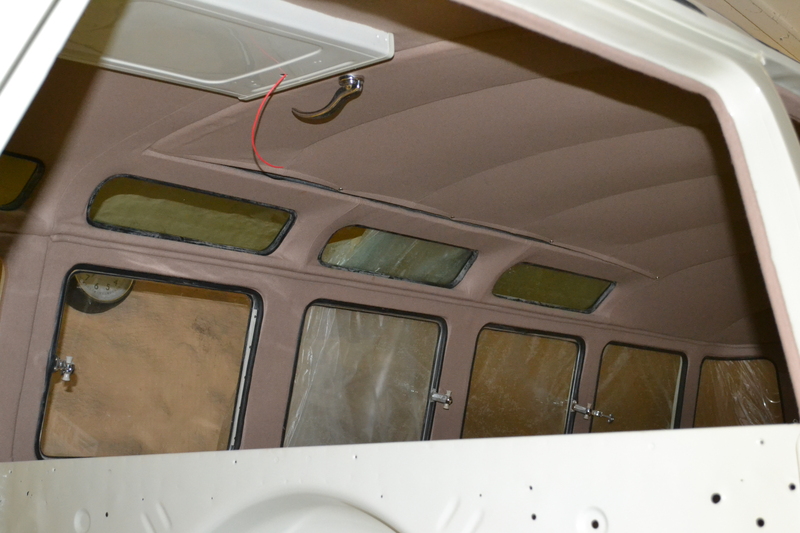 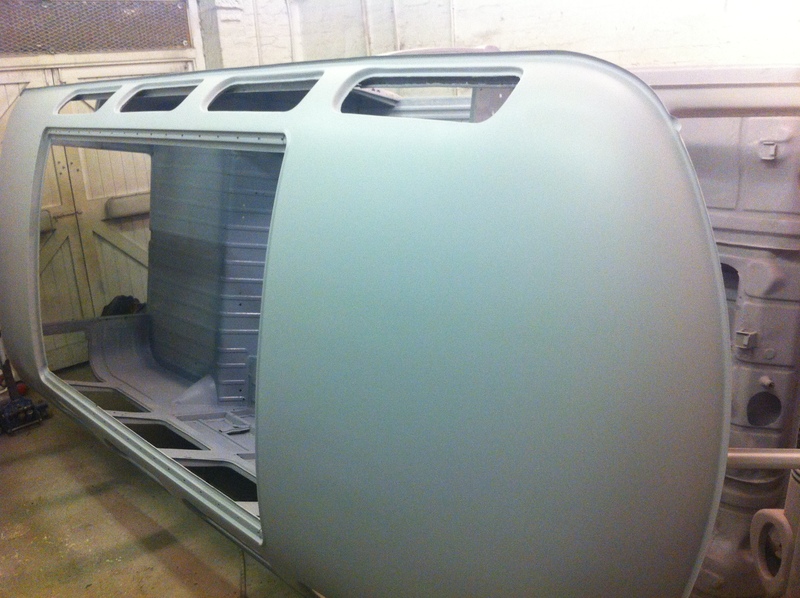 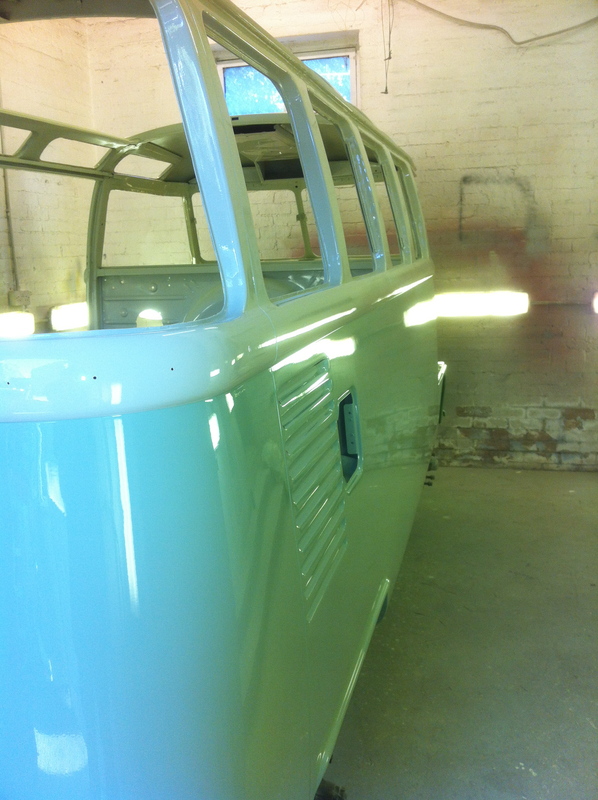 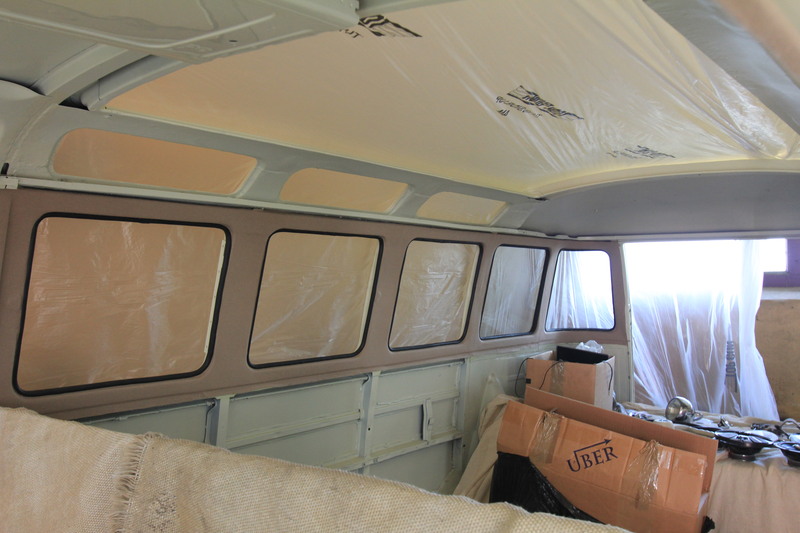 Here are the latest pics of Mollie as she starts to take shape with her new colours. 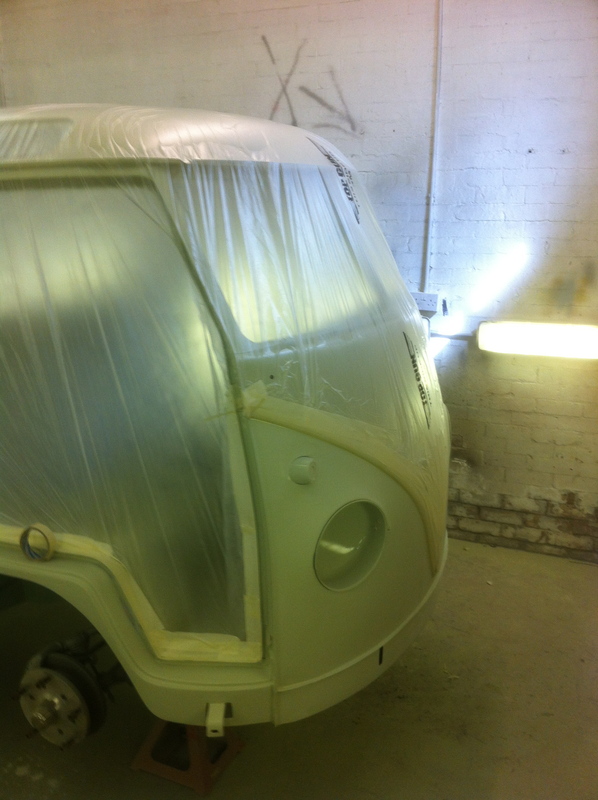 First she is painted white and then gets taped up ready for the birch green on the bottom.